Facial and body hair in women sometimes feels like a taboo subject. 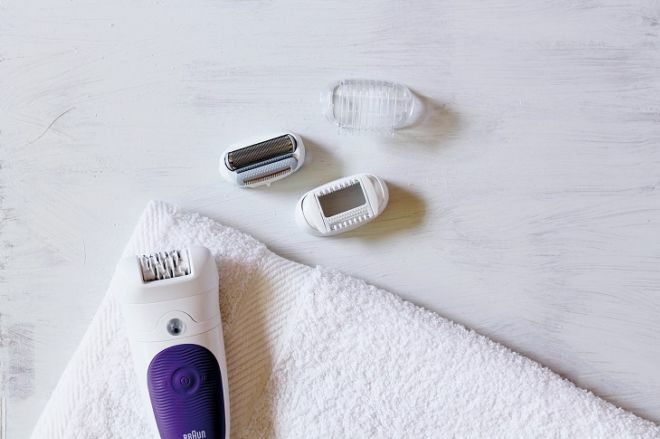 We never hear or talk about it, except for hair removal advertisements, which is a shame, as it makes us believe that hair growth is a flaw that always needs to be corrected. 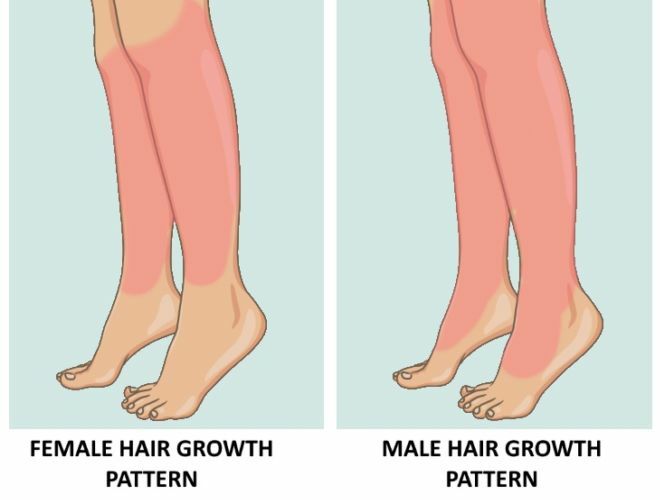 In the majority of cases, however, hair growth on various body parts, such as shins, thighs, lower arms and even face are not a cause for concern, but rather a peculiarity of your personal genetic makeup. That being said, in some cases, facial and body hair can start growing rapidly or suddenly become darker and thicker, which is when you should pay more attention and consider a conversation with your doctor. 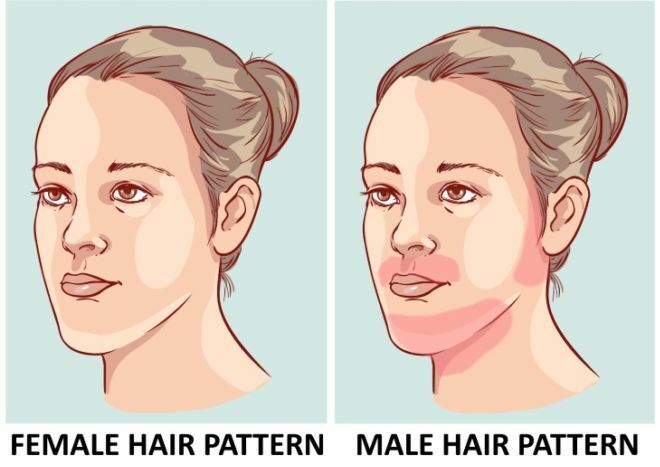 Excess hair growth in women (also called hirsutism) can be a symptom of a variety of health conditions: adrenal dysfunctions, hormonal imbalance, as well as an early symptom of cancer. In this article, we will walk you through all the different causes of excess hair growth, both pathological and not. As we have mentioned above, your genetic makeup can be the reason why you have more hair than your peers. According to an article published in the Journal of Clinical and Aesthetic Dermatology, for example, it was established that women of Mediterranean and Middle Eastern descent are more likely to have more facial and overall hair growth while maintaining normal hormone levels. But ethnicity is not the only predicting factor; your personal family history can also tell you a lot as well. If women in your family have the same hair pattern you do, it is most likely not a health concern. Finally, postmenopausal females can experience hair growth due to sudden changes in hormonal levels without experiencing any other health concerns. One of the most common dysfunctions that causes excess hair growth in women is PCOS, which is a hormonal condition that commonly affects women of reproductive age. PCOS occurs when the ovaries fail to release an egg during the menstrual cycle and they collect in the ovaries and fallopian tubes, forming cysts in these areas. In fact, apart from genetic influence, all the causes of excess hair growth in women are usually linked to increased levels of androgens in the body. Drugs used to treat women with endometriosis, such as danazol. Certain antidepressants, such as fluoxetine (Prozac). A class of drugs called systemic corticosteroids, such as prednisone. Adrenal dysfunctions, such as Cushing’s syndrome and congenital adrenal hyperplasia can cause hirsutism. This happens because the body is exposed to high doses of cortisol, a hormone produced by the adrenal gland, and other steroids, which causes hormonal imbalance. 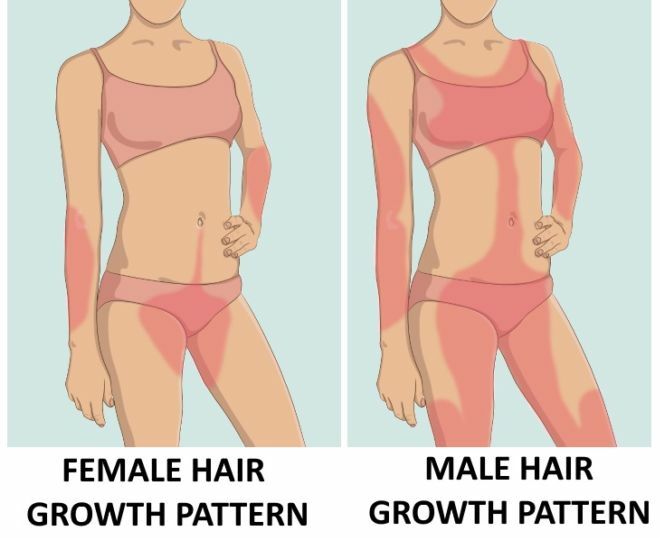 Like in the case of PCOS, women with these conditions will experience hair growth typical for a male pattern, meaning growing coarse and abundant facial hair, hair on the chest, stomach and inner thighs, which shouldn’t be confused with peach fuzz, also called vellus hair that is thin, practically invisible and not a reason for concern. Sudden onset hirsutism in uncommon, but if you find that only in a few months you started growing a lot more hair, it’s best to get checked by a doctor. This is because some tumors in the ovaries or adrenal glands can secrete androgens, which can bring about hirsutism. Depending on the health concern or lack thereof, you and your doctor will help you deal with excess hair in a variety of medical treatments, changes in your current medicine or self-care hair removal treatments. Please keep in mind that the information included in this article is just a general guide to excessive hair growth in women and isn’t a diagnosis. If you have any concerns, make sure talk to your doctor, who will be able to make a proper diagnosis.